All Brentwood schools, including the high school, middle school, and Mark Twain and McGrath elementary schools are covered. Three of the six candidates running for two open seats on the Brentwood School District Board of Education answered questions at a League of Women Voters forum Monday night at the district conference center. About 30 residents came and submitted the questions, which a LWV moderator posed to the candidates. Candidates Lois Truman, Mark Womer (incumbent), and Jamie Allen were there. Joseph Missey, Christopher Pulliam and Jason M. Mayer were not there. Truman, Woman and Allen were all in favor of the VICC program, (Voluntary Interdistrict Choice Corporation), which brings students from St. The Brentwood School is putting Proposition B on the April 3 election, asking voters to approve the district borrowing $16 million for renovations to Brentwood Middle and High schools. The ballot lists: constructing, renovating, repairing, expanding, improving, furnishing and equipping, for the schools. According to the ballot language (below), “the adjusted debt service levy of the District is estimated to remain unchanged from the current debt service levy of 42.9 cents” per $100 of assessed valuation. The school district has been contacted for a clarification — wondering what “unchanged” means here. Is there a current tax? Brentwood High School and Middle School students were released early on Friday because an escaped 9-foot long boa constrictor couldn’t be found, according to reports. It was found, eventually. According to a comment (below): “Boe, the class snake, is a red tail boa constrictor, not a python (as was previously reported). She was adopted from the St. Louis Zoo over 20 years ago and has spent almost all of her life in the classroom. 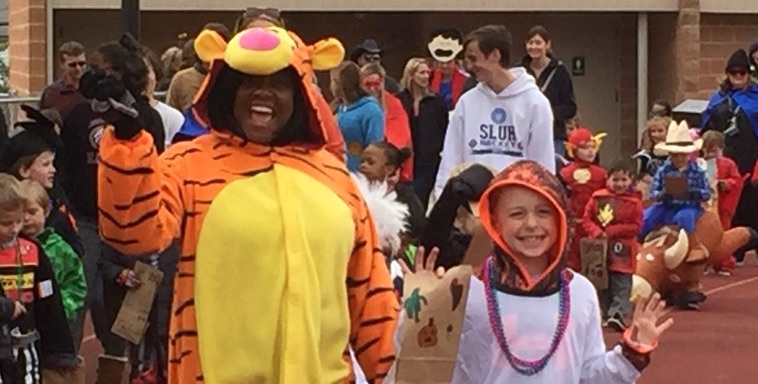 New Brentwood schools superintendent, Brian Lane, posted photos from the McGrath Halloween parade on Twitter. “Loving my first McGrath Halloween Parade!” he said. Brentwood’s Mark Twain Elementary was recognized yesterday as a National Blue Ribbon School, the US Department of Education announced on Thursday. 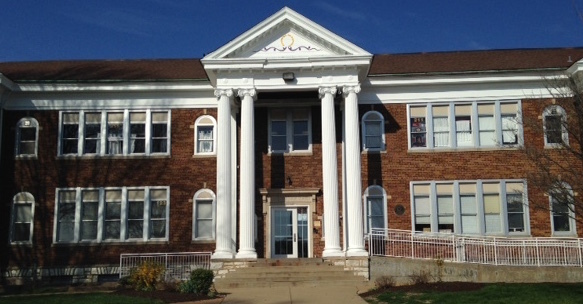 It was one of only eight schools honored in Missouri. The National Blue Ribbon Schools Program honors public and private elementary, middle and high schools where students achieve very high learning standards or are making notable improvements in closing the achievement gap, the department says. “National Blue Ribbon Schools are active demonstrations of preparing every child for a bright future,” said U.S. Secretary of Education Betsy DeVos to the honorees. “You are visionaries, innovators and leaders. Brentwood and Maplewood Richmond Heights high schools have been recognized as two of the top ten high schools in the St. Louis area for math proficiency, the Post-Dispatch reports. The rankings are the results of the Missouri Assessment Program (MAP test), which the state uses to assess student progress in public schools. The test determines the proficiency rate of students who score at a level considered proficient or advanced. The statewide average for math proficiency is 48.6 percent. 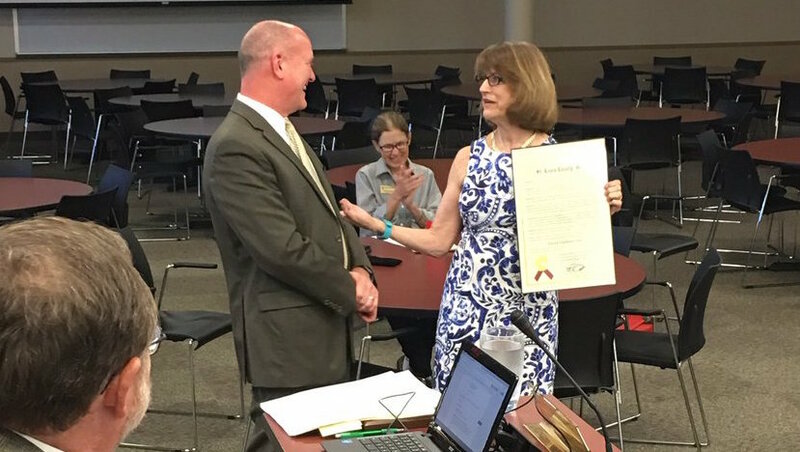 St. Louis County proclaimed Tuesday “Mr. Faulkner Day” in recognition of Brentwood School District’s retiring superintendent, David Faulkner, according to Brentwood Schools on Twitter (@BrentwoodMoSD). Faulkner was superintendent since 2012. He is being replaced by Dr. Brian Lane, former deputy superintendent for the Mehlville School District. Brentwood School District’s Mark Twain Elementary has been named one of this year’s Gold Star Schools, the Department of Elementary and Secondary Education announced on Wednesday. 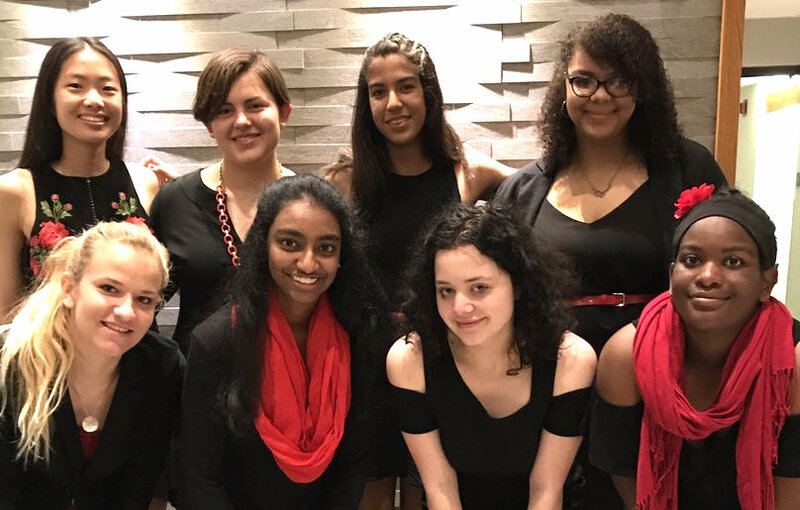 The program recognizes schools that perform at high academic levels, or that perform at high levels while serving a significant proportion of disadvantaged students. Eight schools were named statewide. In the St. Louis area, Chesterfield Elementary in the Rockwood R-VI School District and Mallinckrodt A.B.I. Elementary in the St.
McGrath Elementary and Mark Twain four-graders recently took part in a mock city council meetings at Brentwood City Hall, conducted by Mayor Chris Thornton. In the meetings, Thornton, Director of Planning and Development Lisa Koerkenmeier, City Administrator Bola Akande, Fire Captain David Niemeyer and Assistant Chief Ron Cottrell explained some workings of the city and answered their questions. See videos of the meetings on the Brentwood city website. 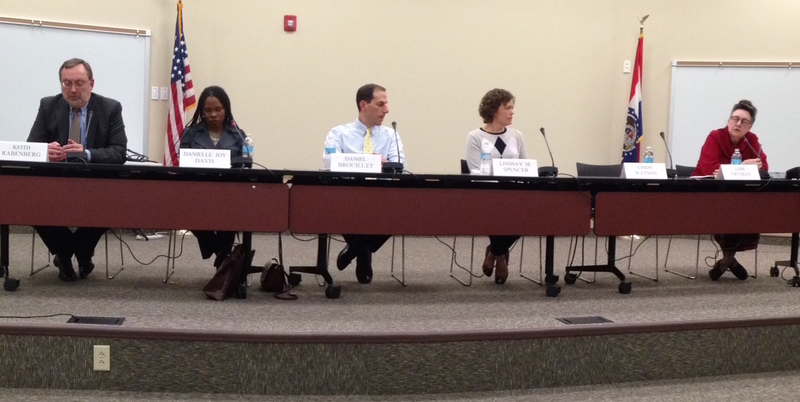 Six candidates ran for the three open seats on the Brentwood School Board. A new-comer took more votes than even two incumbents. Lindsay Spencer, a stay-at-home mom with kids in the school district took the most votes, winning 23 percent of the vote. Spencer grabbed attention in the League of Women Voters forum by being the only one out of five candidates to favor teaching only evolution (“science-based”) in science classes. The other candidates supported teaching both evolution and creationism, when the question was asked. We are very near our election day (Tuesday, April 4th) when decisions will be made that impact the future of our Brentwood community. I believe it is important to have one or more professional educators serving on our school board. There was often agreement on questions, with variations. During this school year, the Brentwood School District has extended its facilities planning to discern how we should update our K-12 buildings to meet the community’s needs now and in the future. Last fall, the District hosted a number of meetings to collect input on a vision for the future of the educational buildings in the Brentwood community. Many exciting ideas were shared by citizens who attended the events. For the next stage of planning, we are inviting interested and committed members of the community from all perspectives to apply to be involved in a more focused process of making recommendations for our facilities by serving on the Facilities Steering Committee. For management purposes, the size of the committee must be limited, and selected members of the Steering Committee should be willing to serve for a term of two years. The majority of candidates in the forum said they supported teaching both creationism and evolution, when asked. Lindsay Spencer was the only one who said teaching should be exclusively “science-based.” She concluded, “Teach evolution.” Duntze said she has been a Brentwood resident since 1989; both her sons attended Brentwood schools from kindergarten through 12th grade. 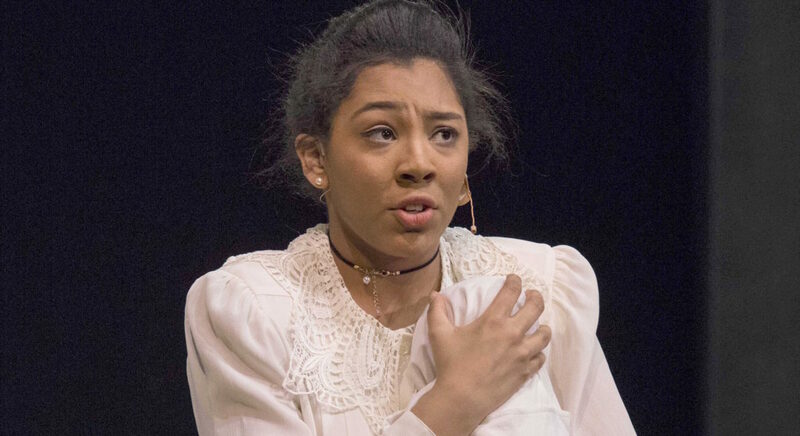 Brentwood senior Evan Adams has made to it the final round of Fox Performing Arts Charitable Foundation’s 7th Annual St. Louis Teen Talent Competition, on April 8, according to a release. The finals are free and open to the public. There are 17 acts (29 students, from Missouri and Illinois) competing in the finals. A complete list of final acts can be found here. Candidate for Brentwood School Board, Lois Truman, sent the following biographical information to 40 South News for publication. She is one of six running for three open seats on the board. A League of Women Voters candidates forum will be held at the Brentwood School District Conference Center on Thursday, March 9 at 7 p.m. I am excited to be on the April 4, 2017 ballot as candidate for the Brentwood School District Board of Education. I am a lifelong educator with a Bachelor of Science degree in Elementary Education, a Master of Education in Counseling and Psychological Services, and a Doctorate in Child and Family Studies. In early 2014 my husband (currently on the Brentwood Library Board) and I returned from Dubai to live near our family where we have three grandchildren attending the fabulous Brentwood schools.